The other day I was passed by a runner on my way home from work. Going uphill. I was on my bike. Ya, that’s how awesome of a biker I am. I get passed by those traveling by foot. It reminds me of when I was jogging in London one morning. I hate jogging. I’m slow and grumbly. And in Hyde Park, in the early morning fog, the maintenance guy—who collects rubbish on his scooter—pulled up next to me. 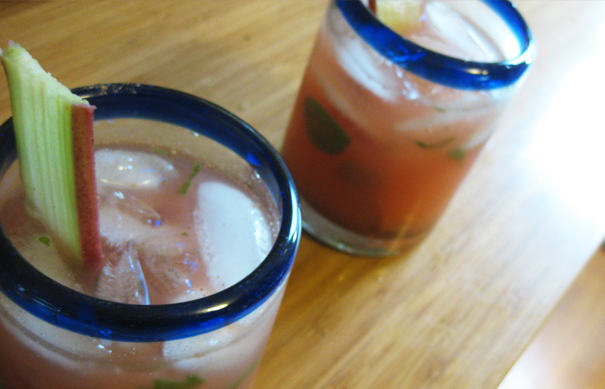 And so to mitigate reality of my athletic prowess, I bring you … rhubarb mojitos (recipe thanks to fellow NWer not without salt). 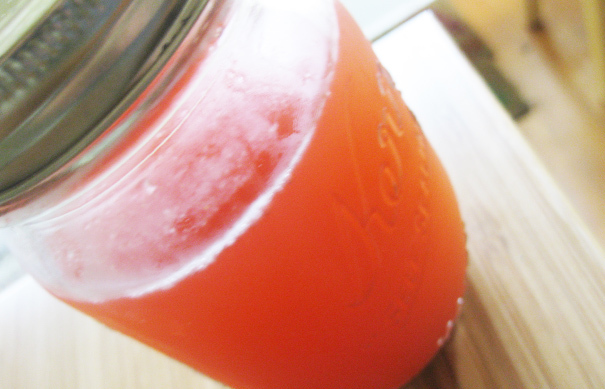 This batch made from Ken’s garden glory: rhubarb and mint. 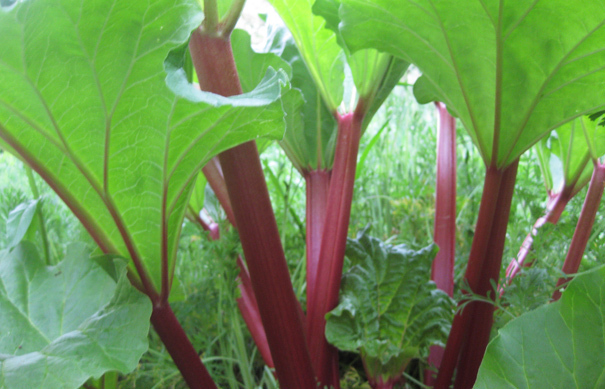 Make a simple syrup with the rhubarb. Throw in some nutmeg. Vanilla. Lime. Generous portion of rum. Take off that bike helmet and drink up. 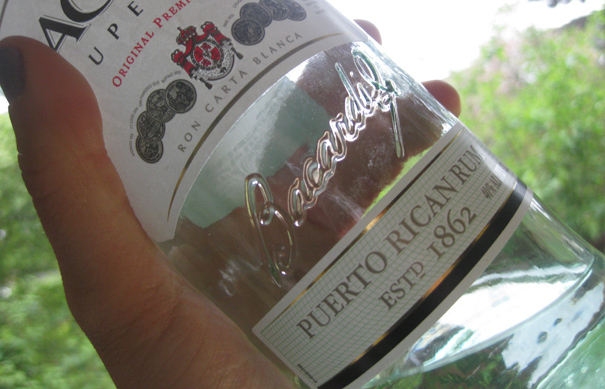 RECIPE: 5 of 5 glasses of more rum. By the time you have a couple of these, you’ll think that, ya, you totally can run like that lithe and nimble marathon man. Then just keep drinking (before you actually test that theory). MAKING RHUBARB SIMPLE SYRUP: Combine all the ingredients in a small pot. Bring to a boil then reduce to a simmer. Simmer for 5-7 minutes. Let cool completely. Strain the ingredients. 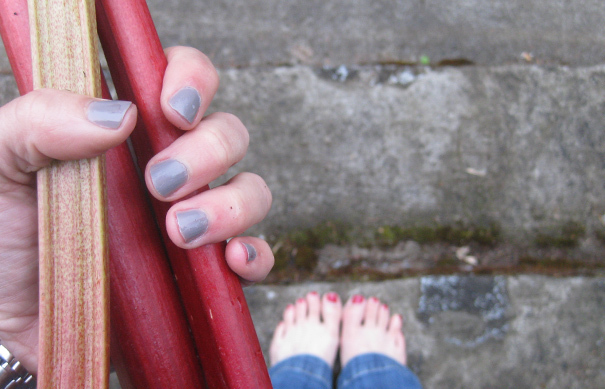 Reserve the rhubarb to top on other treats like yogurt for breakfast or ice cream for dessert. The syrup will keep covered in the fridge for two weeks. MIXING THE COCKTAIL: In the bottom of a glass add a bit of nutmeg, lime zest, mint leaves, vanilla and the lime juice. I use the end of a wooden spoon to muddle. 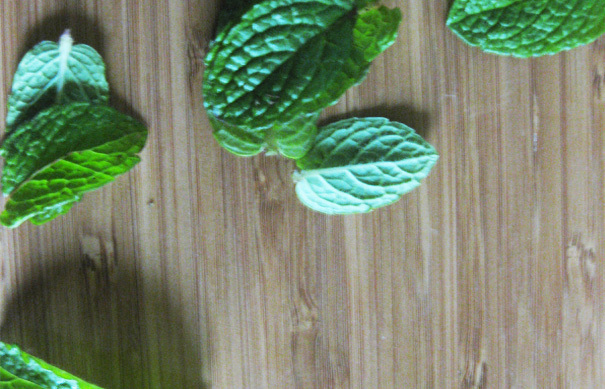 You want to really break up the mint leaves—but not splash all the lime juice out, either. Add the rum and rhubarb syrup, give a light stir then top with ice. Garnish with mint and a thin slice of rhubarb. This entry was posted in 5 Wine Glasses, Appetizer, Drinks, Uncategorized, Vegetarian and tagged cocktail, mojito, rhubarb, rum. Bookmark the permalink. you make me laugh, sister. and i can’t wait to drink these with you sometime!